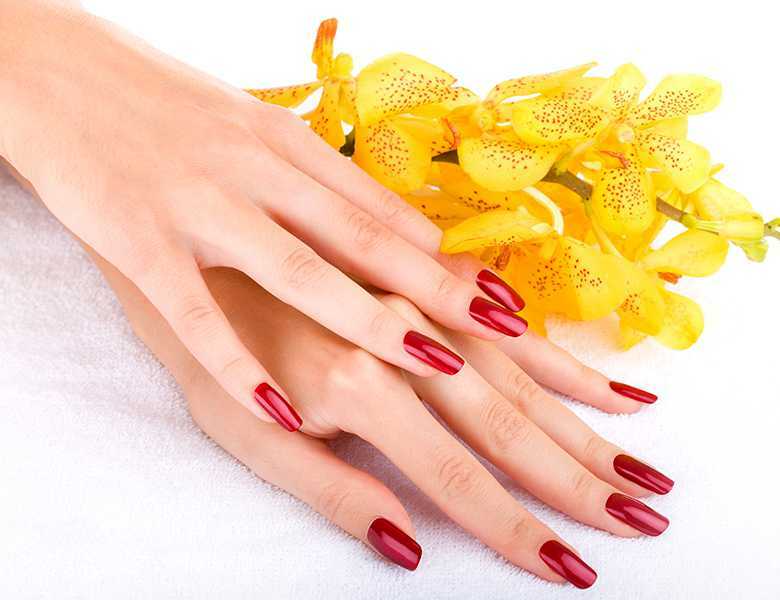 This basic manicure includes a hand soak, nail shaping, cuticle care, hand massage, and a polish of your choice. Buffing to a natural gloss is available. Relax on one of our comfy chairs with our deluxe pedicure that includes nail shaping, basic foot filing, cuticle care, callois remover, exfoliating scrub, cooling mask, hot paraffin wax, hot towels, and massage. A polish of your choice or buff to a natural gloss. Upgrade to our grand deluxe pedicure that includes nail shaping, basic foot filing, cuticle care, callous remover, cooling mask, and hot paraffin wax. With a citrus twist that involves fresh mandarin orange exfoliating your legs and finishing off wwith hot towels and hot stone massage. A polish of your choice or a buff to a natural gloss. Unwind in our lavender scented foot bath rich in sea salt that relives your aching feet. This pedicure includes our lavender exfoliating scrub, smoothing mask, hot paraffin wax, wrapped in hot towels, and finished with hot stone massage. Feeling a little spontaneous? Try our jelly pedicure that puts a little fun into your feet. Your typical foot bath gét a little upgrade with our gelatin foot soak. Choose from our variety of scents. This includes cooling mask, hot paraffin wax, hot towels, and stone massage. This pedicure cools and renews the feet by using fresh cucumbers to eliminate irritating skin and swelling. Its aromatherapy properties also help cool and moisturize your skin. This inclides cooling mask, hot paraffin mask, hot towels, and stone massage. While your feet are soaked in a fresh orange and milk foot bath, our sugar exfoliation infused with Milk & Honey naturally helps calm, smoothe, and moisturize the skin with vital nutrients. This includes cooling mask, hot paraffin wax, hot towels, and stone massage. Feel even better about your pedicure with this all organic service. This pedicure consists of mineral sea salt, screamy scrub, and mask all from the organic, eco-frendly BCL SPA line of products. This includes hot paraffin wax, hot towels, and stone massage.